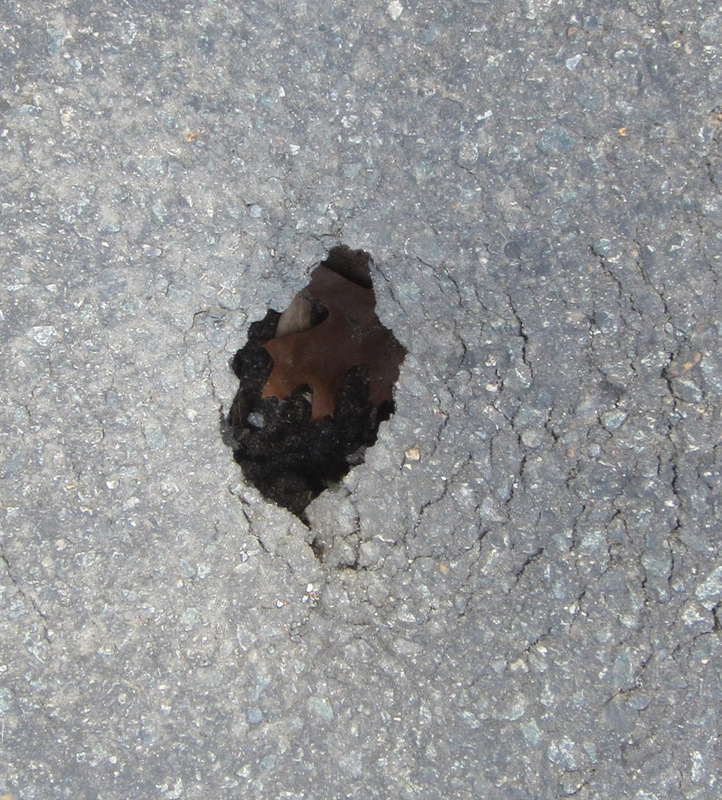 A hole has opened near the Virginia-Rosslyn multi-user expressway where it crosses Marshall Dr. across from Rosslyn's Arlington National Cemetery. The longest distance across the hole is only about five inches, but the cracking on the asphalt indicates that the hole could get bigger. The hole is on the new asphalt recently put down to cover the trench dug for the power line installation along Marshall Dr. Local cyclists rate the over-all quality of that asphalt work as uneven.